I have been a fan of interior design since I was little. I used to love watching shows like Changing Rooms, Home Front and Ground Force to name a few. Darcy and I have been in our new place for a few months now, and I'm still looking to make it feel more like home, which can be difficult when renting. Luckily, The Ideal Home Show is back at Olympia London to help inspire me. 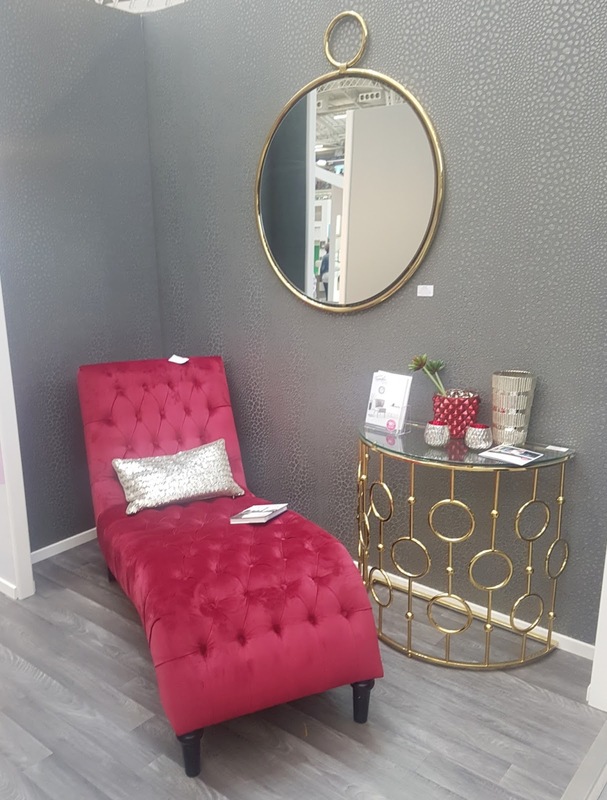 From kitchens and bathrooms, to bedrooms and basements, fixtures and fittings to fine food, gardens and the latest high-tech gadgets, to fashion beauty and gifts, you'll find it all under one roof. 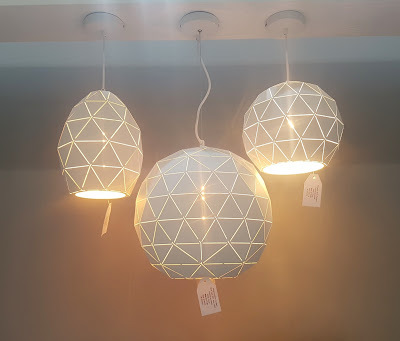 I found myself at the Furnish Your Home stand and, my oh my do they have some lovely stuff. 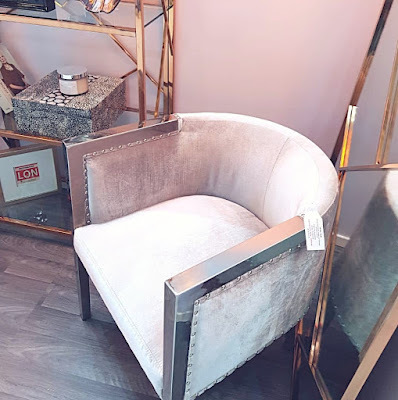 If you are a fan of luxurious interiors,you will love them. From lighting to mirrors to dining sets they have styles to meet everyones tastes. I love neutral shades with a touch of gold, so you can only imagine how much I feel for this set up of this room. 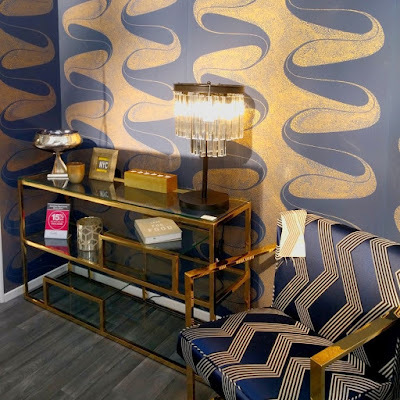 From those velvet chairs to the gold and glass shelving unit it is just lush. Not my usual taste, however, I can just imagine chilling on this beautiful chaise lounge with a glass of wine, having someone feed me with peeled grapes. The grey walls really make the colour pop, again I would have not thought to put these colours together without seeing the room set, but it really works. 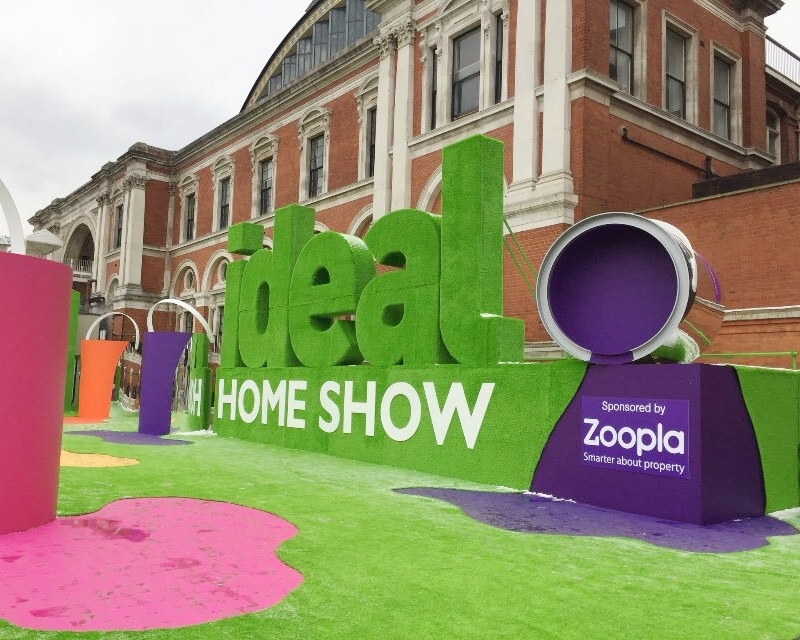 Another thing I love about going to the Ideal Home Show is the goodie bag, and this year I have to say it was rather disappointing. 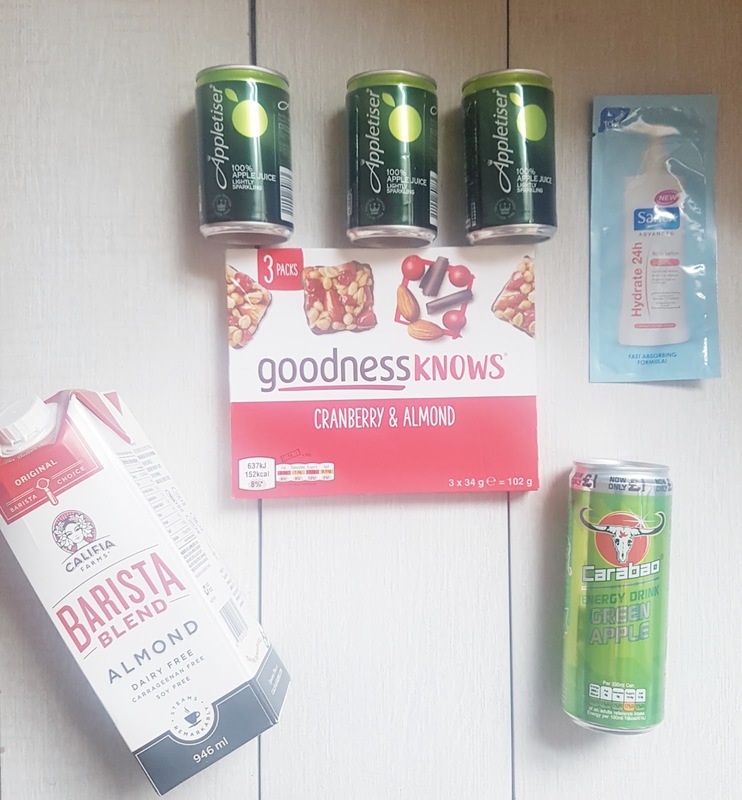 I also overheard a couple of people say the same, however I am definitely looking forward to trying the Califia Farm Barista Blend Almond milk and Goodness Knows cranberry and almond snack squares. If you are looking for something to do over the weekend. The Ideal Home Show is the place to be. It is very child friendly, with children under the age of 15 going for free. There is also an Easter egg hunt competition for the kids to take part in. You can find more details here. And whilst you are there definitely make a beeline to Furnish Your Home who are at stand L710. 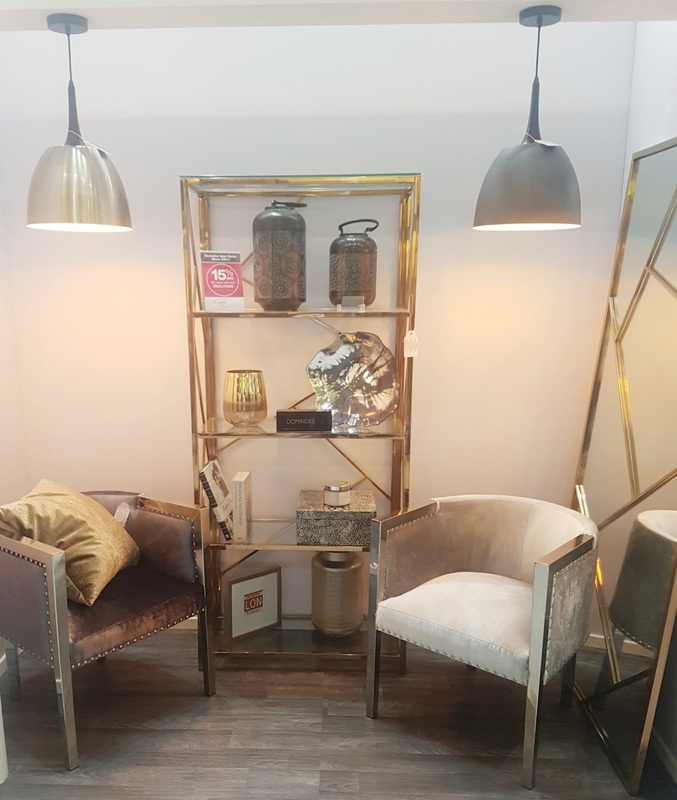 Take a picture of their stand and share on social media with #FurnishYourHome for a chance to win £100 to spend on their site!